The sizes we are looking for are relatively small, 2 of a 30 by 22 feet and a 20 by 13 foot area. Any leads would be appreciated, thank you. 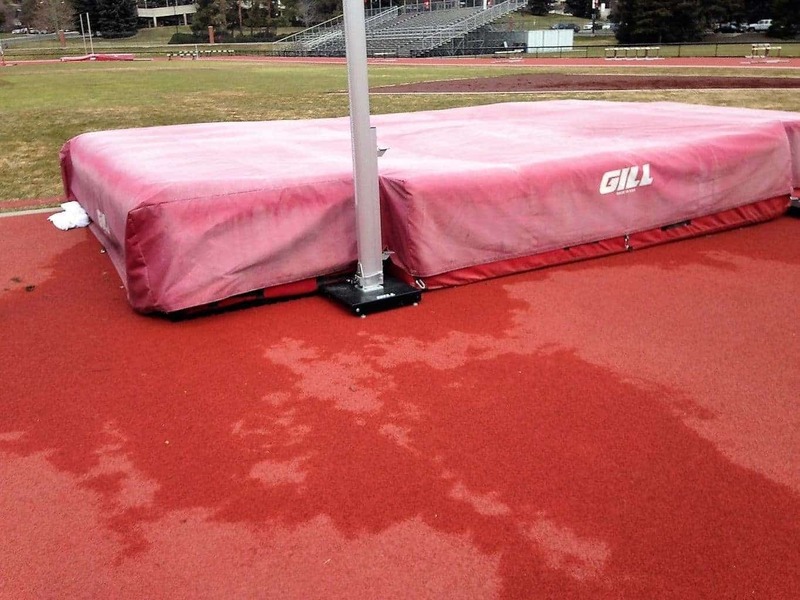 We are looking to put this under our track pads for the High Jump and Pole Vault pads. It is working as anticipated. The height is low enough that we can compete on the pits, and the pits do not move due to the waffle texture. 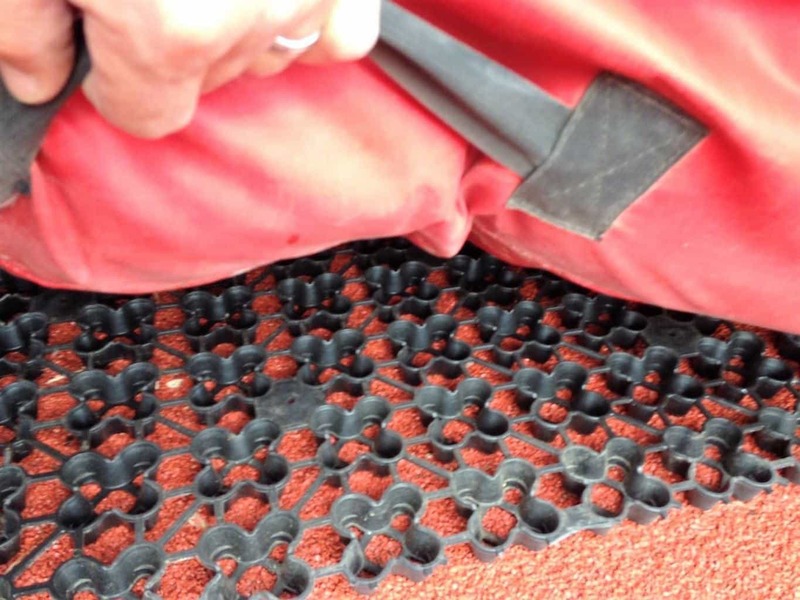 Great application that allows for air/ drainage. No other system comes close in ease of install, price value player safety and performance! The ASTM D4716 was done with 2 metal plates top and bottom and the grid tilted at a 1/2% slope. This is the only way to be able to claim drainage per hour. Don’t letem kid ya ! If they don’t have this test ask them why? 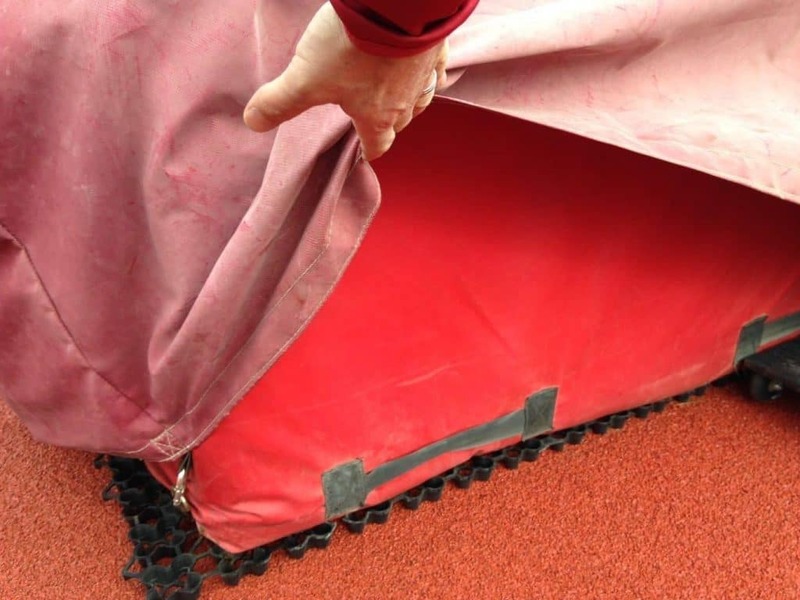 AirDrain Drainage under our track pads for the High Jump and Pole Vault pads.